Here is a brief introducing of all my motorbikes, some are former bikes, some of them are still mine, should have keep them all. 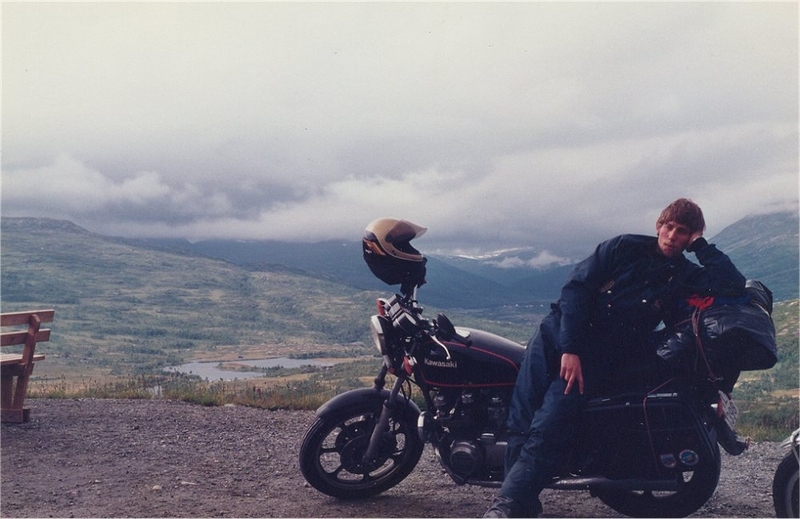 I have been interested in motorbikes sins I borrowed my first two-wheeler. 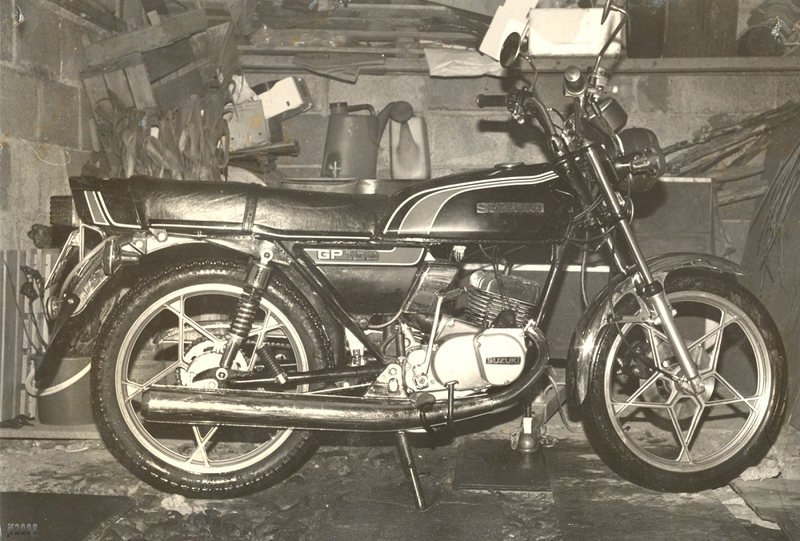 It was a Kreidler Florett 50ccm. I had to have one. 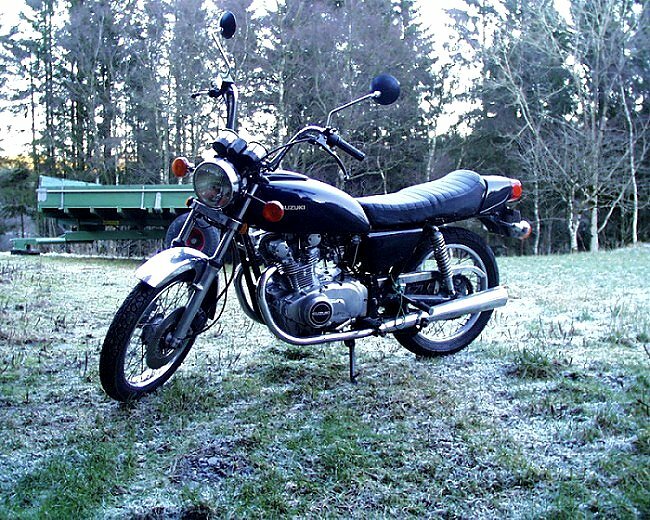 And when I was 16 I got a Suzuki GP100. 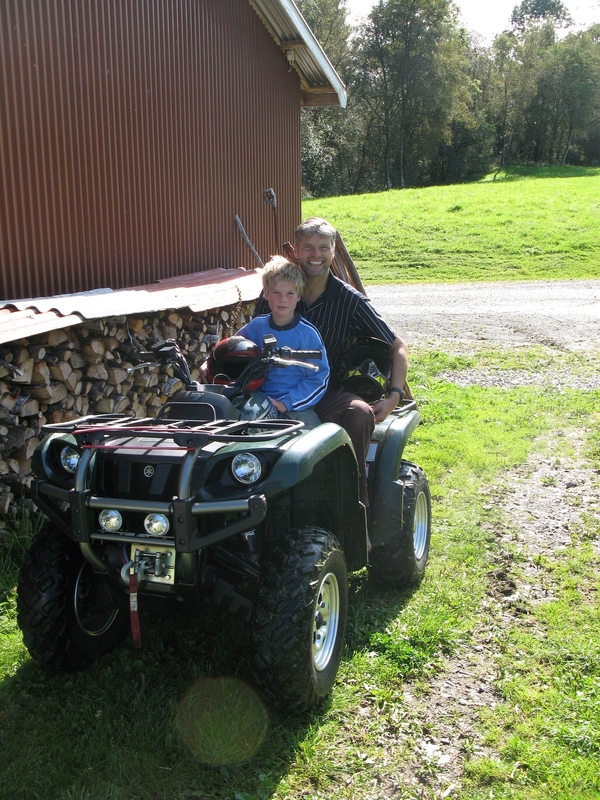 I those days it was a fantastic machine 7 hp an a top speed around 90-95km/h. 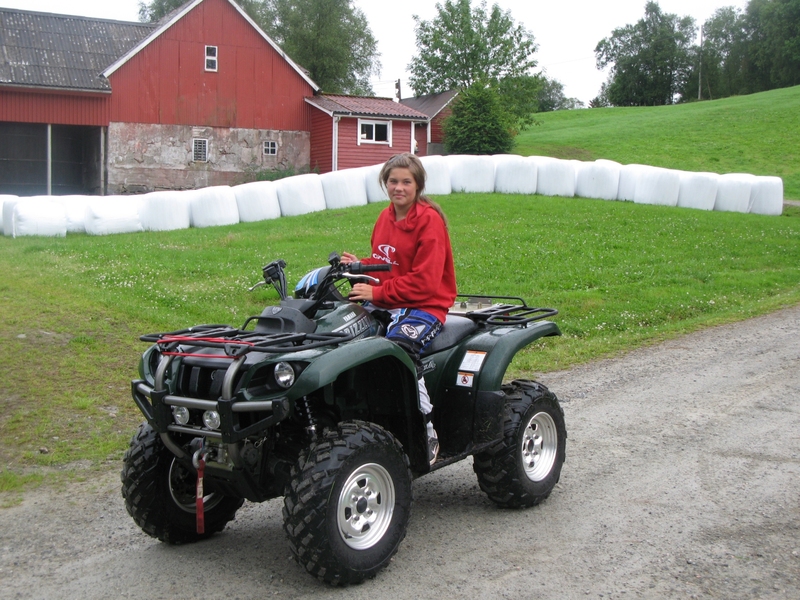 I had the Suzuki for two years. Then I was lost, I needed a bigger machine. 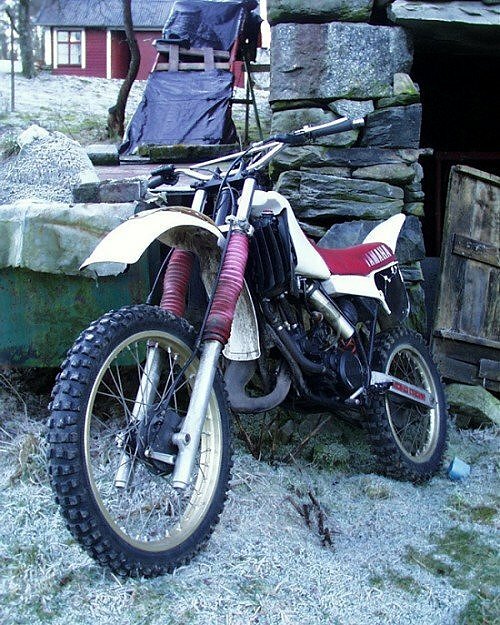 On Stord " Mc-senter" I found a brand new Kawasaki Z650FIII (1983) And soon after it was mine. From 7 to 67 hp, it was amazing. 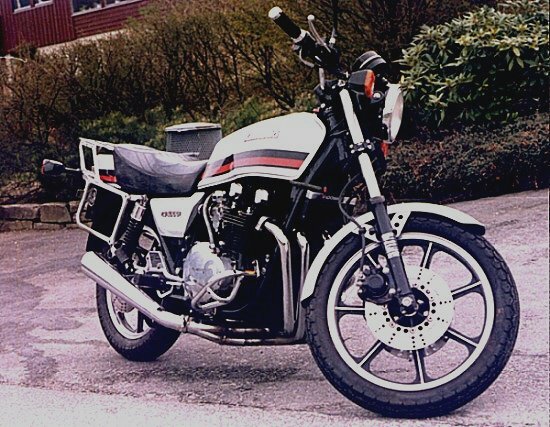 This is my Kawasaki Z650FIII. 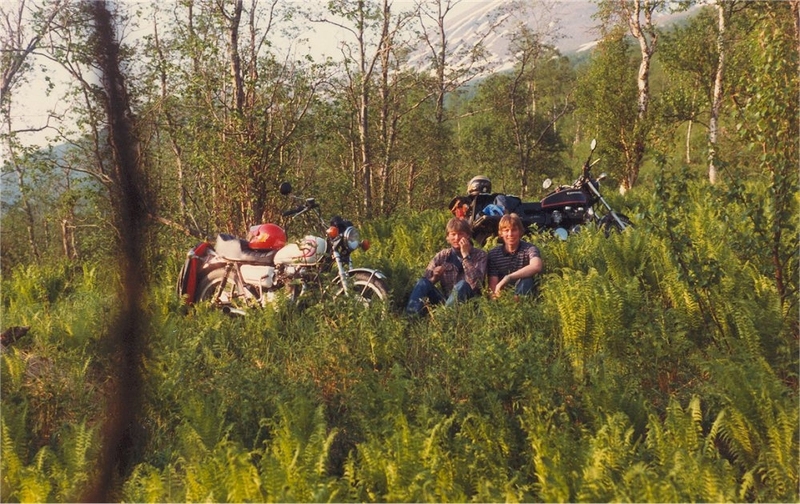 The picture is taken i 1984 in " Setermoen" Norway. 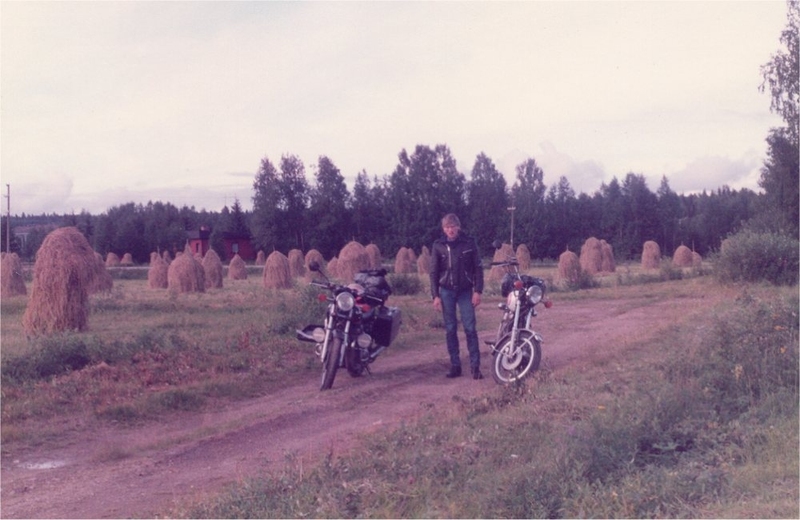 The man in green is my friend Birger Vennesland on his Yamaha XS650 (slightly modified) Here is a picture (poor quality) of the Suzuki GP100 with Johannes Langhelle in the saddle. A this point I had sold it to the man on the Kawazaki. 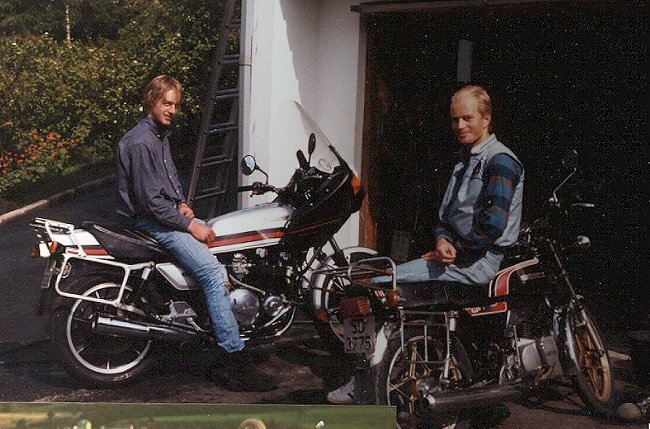 Z1000, Kåre Mannes. 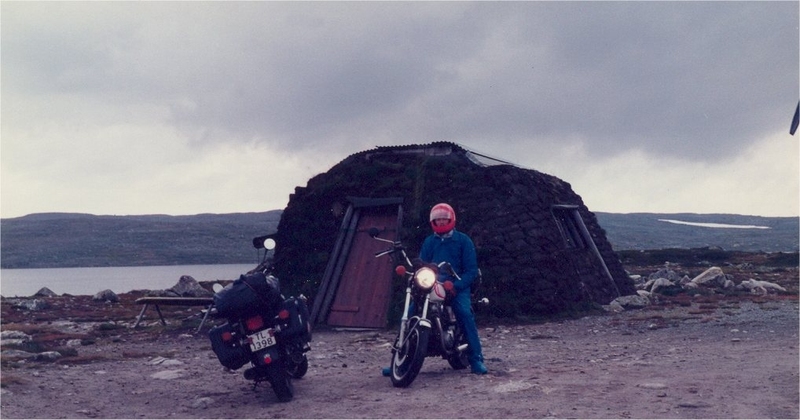 Pictures from Birger and my trip from Setermone ( North of Norway) back home (south of Norway) in 1984. 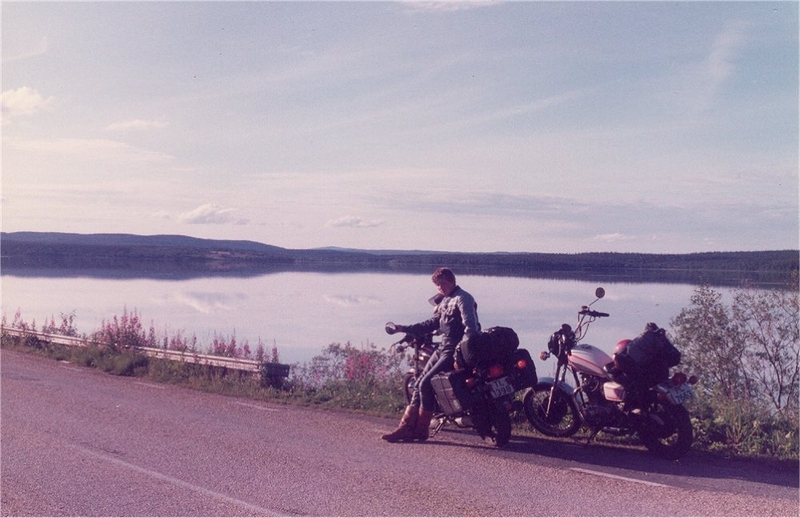 This was a very nice trip with midnight sun and nice roads. Here is the Z000J without the fairing (with 4-1, and 11005ccm) Nice bike. 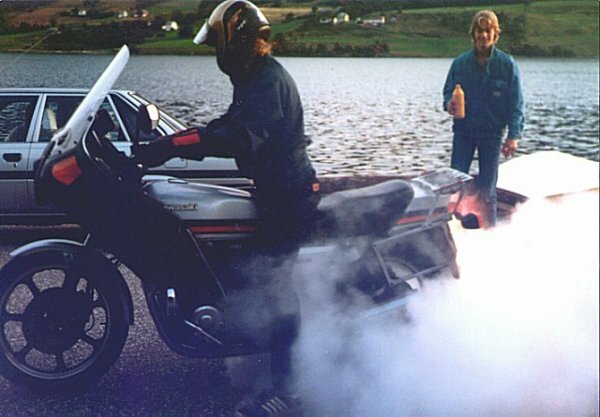 Burnout with the Z1000J with the Windjammer and everything. 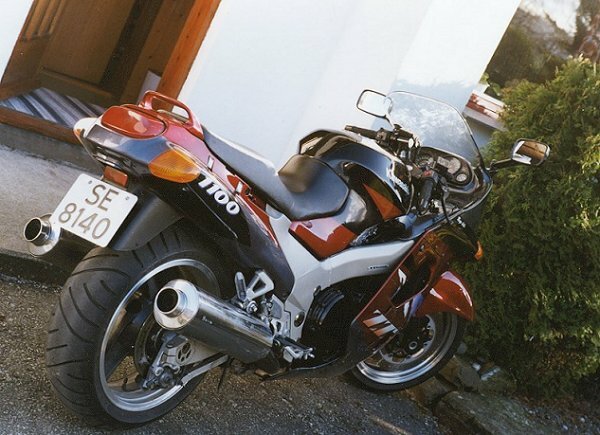 Kawazaki Z1000J was a great bike to make "black stripe" in the road with. The handling was not nothing to write home about. Z1000 was sold an a Kawazaki (you may thing I an a Kawazaki fan, that's right) GPZ900R (1987 mod) The GPZ900R was a good handling bike (1987!!) 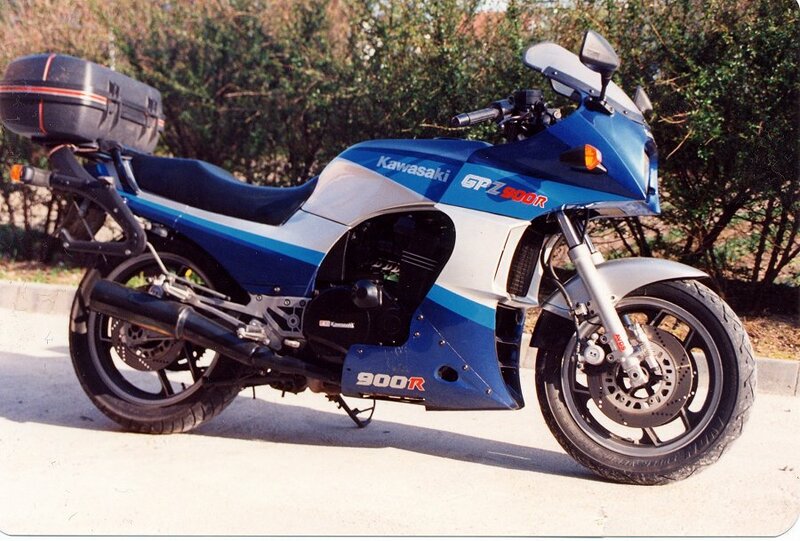 In the beginning I was a little disappointed about the power (115 Hp) But after a years time I had the opportunity to try my old Z1000, and... there was no doubt, the GPZ900R was faster, it only doesn't feel like that. 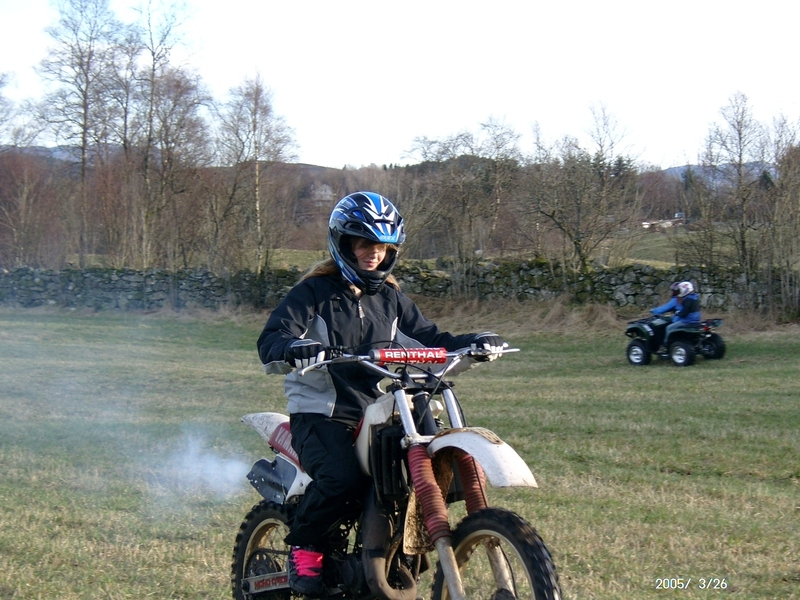 It was faster, the top speed was awesome compared to my former bike, I could gain much higher corner speed. And it was fine with a passenger to. 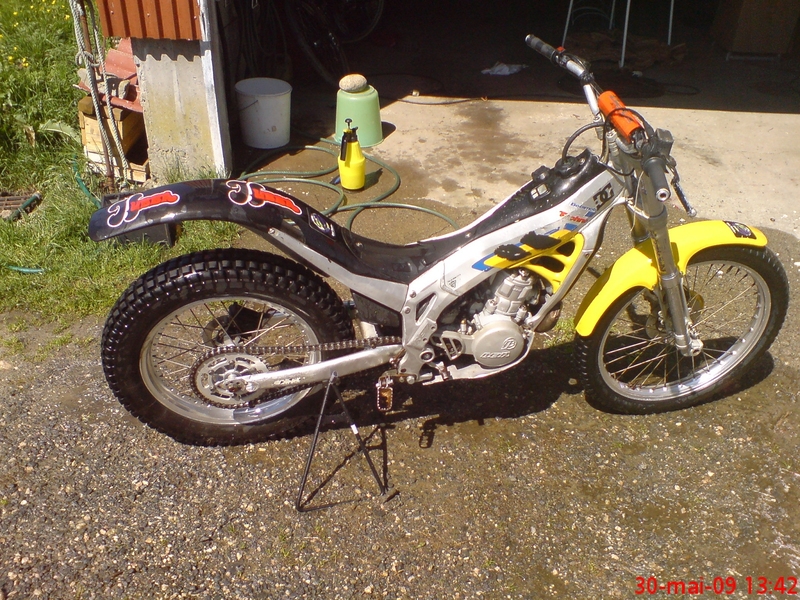 The Suzuki was ready to run, but looked awful (sorry Svein) I restored it, not to originally look but nice enough. It got new pistons from a GS425ccm Suzuki, new electrical wiring, polishing every aluminum engine panels, new black paint etc. 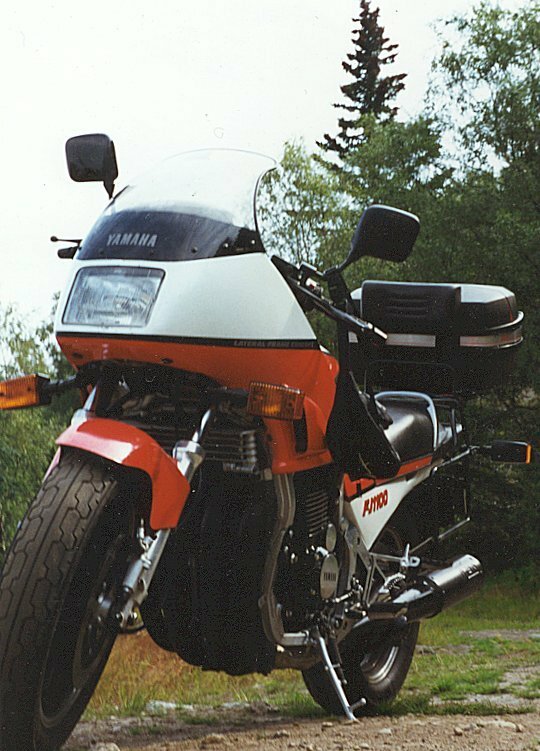 I still have it, and I will never sell it, it's nice to ride, not fast (fast enough for it's handling) but it has the right feeling. It's soon going to get some new parts like exhaust, rear dampers and so on. 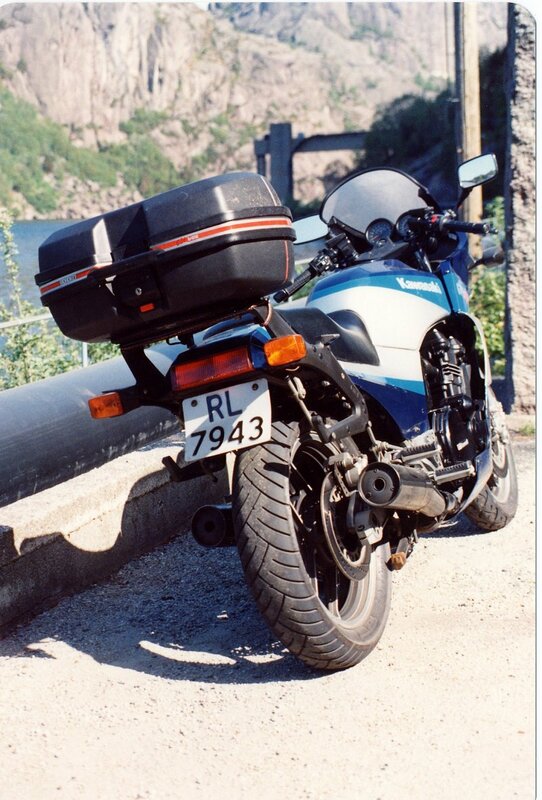 Here is the Suzuki GS400 on a trip to Egersund. 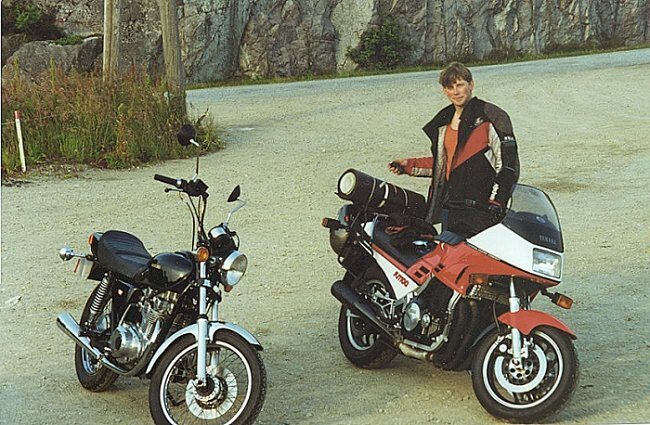 Both my bikes back in 1993, on a trip to Egersund the GS400 and the FJ1100. 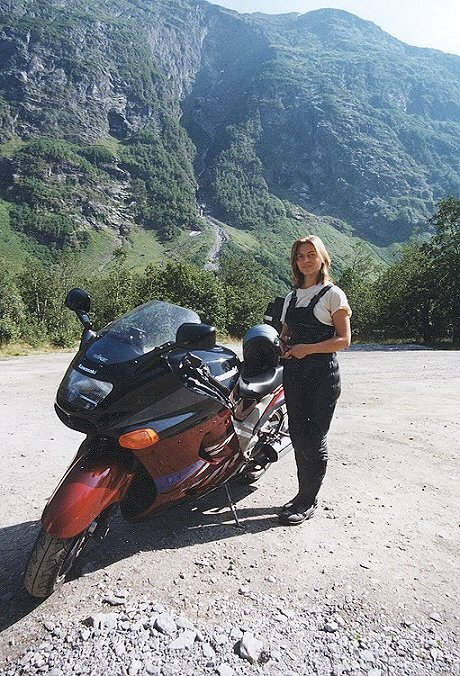 Photo taken by Kåre Mannes..
And here at home winter 2000. 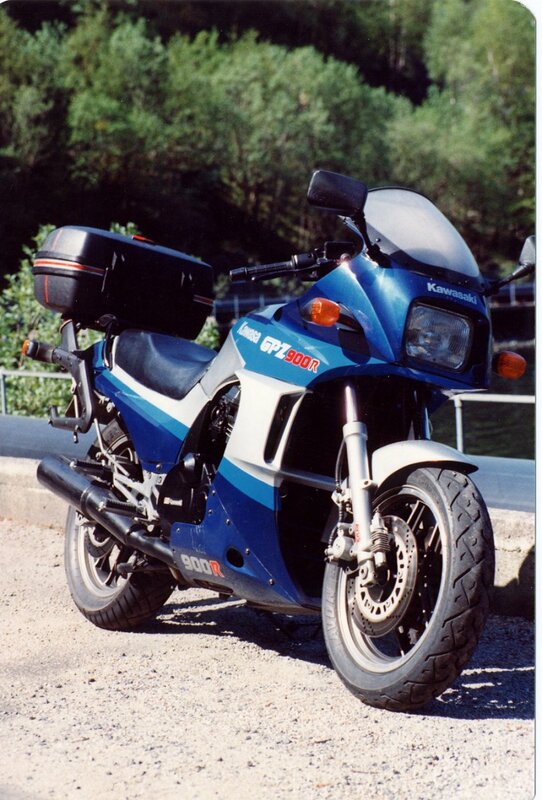 And some more pictures of the GPZ900R, taken by Terje Andersen who borrowed the bike for a weekend. 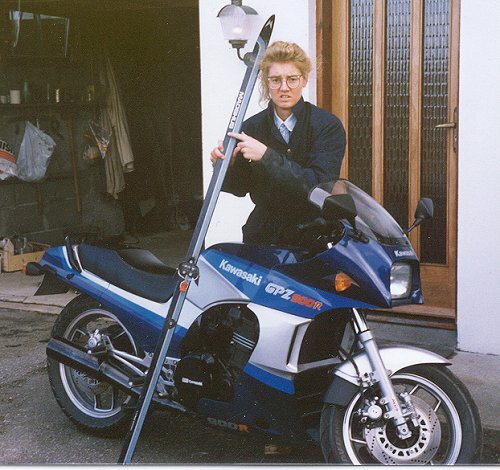 When I sold the GPZ (1991?) I had one year without a bike.... Never again! 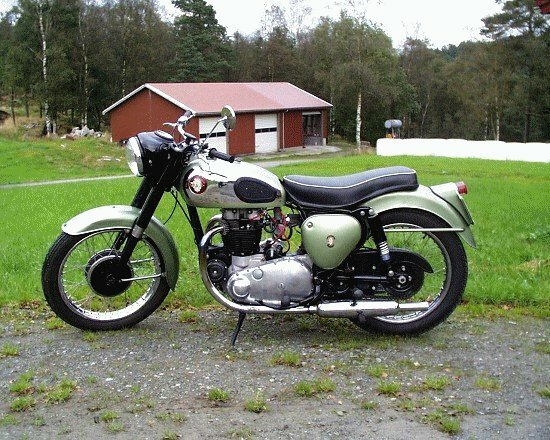 My friend Morten told me it was a mistake to sell my GPZ, it was. 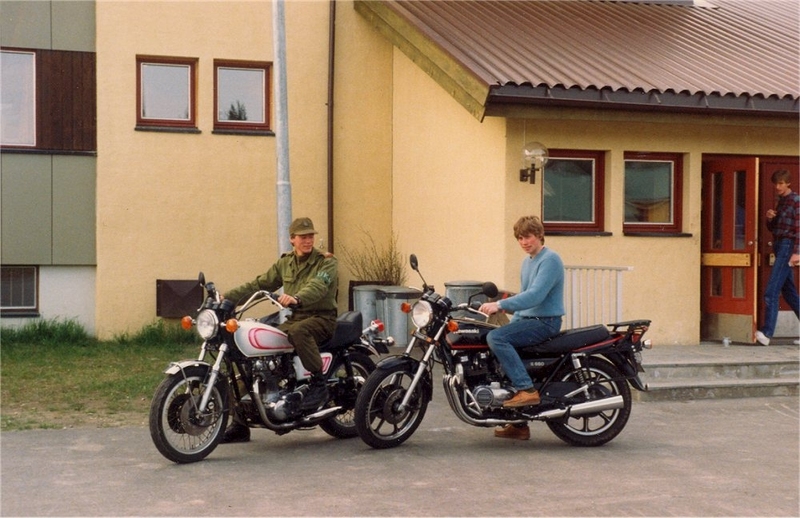 Then in 1993 (I think) I brought a used Yamaha FJ1100 1986 model. 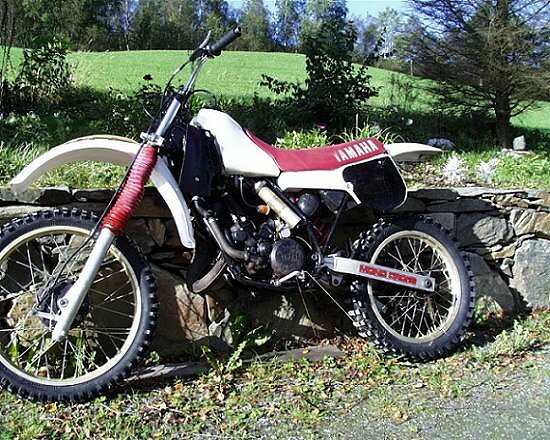 Actually I have never quite liked the FJ from Yamaha. They are good bikes, fast and handles well enough. But they don't look great. 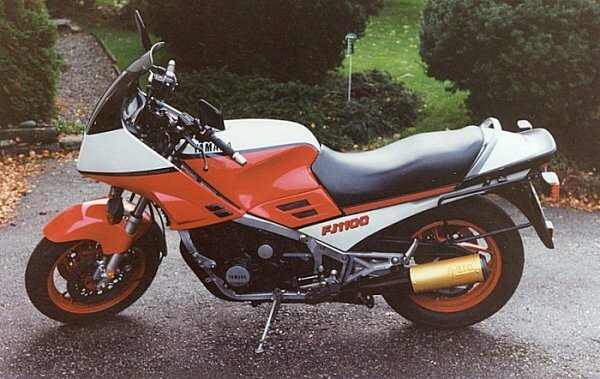 The FJ1100 was in good condition, but the paint quality on those bikes is not the best, especially on the frame and engine. 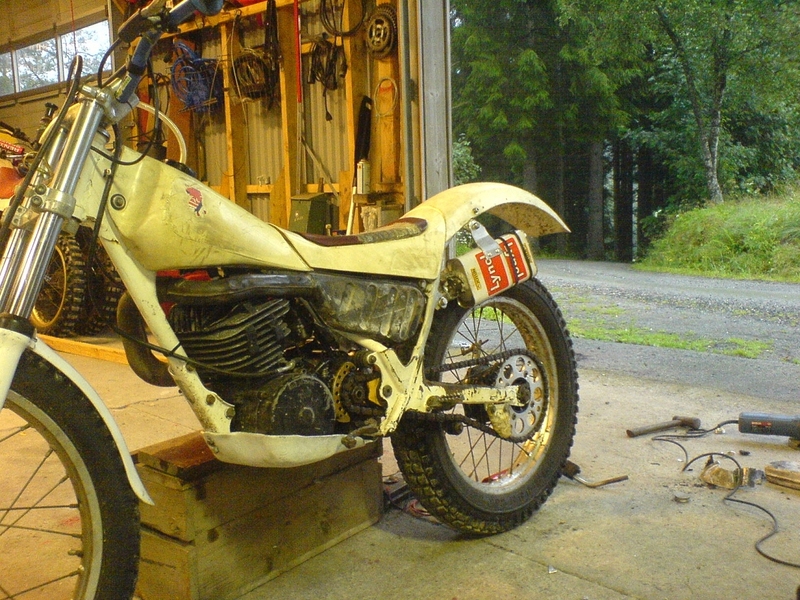 I had to give the frame/engine and some other parts a new paint and some freshening. 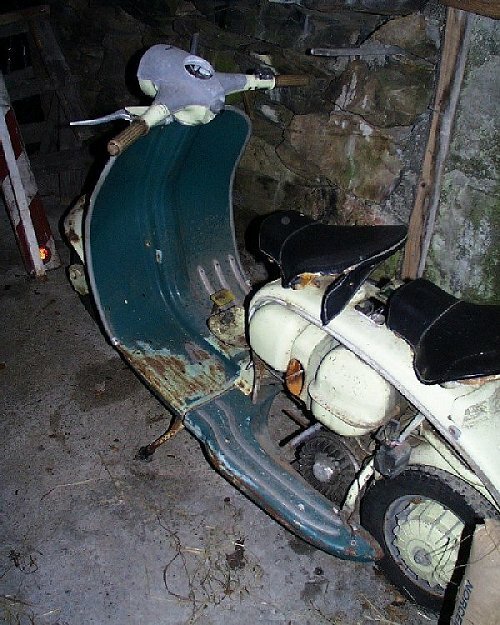 I had it for three years before I sold it in 1995/96. FJ1100 a short time after I brought it. The former owner had painted the wheels red. The FJ1100 with new paint on the frame/engine and some engine covers polished. 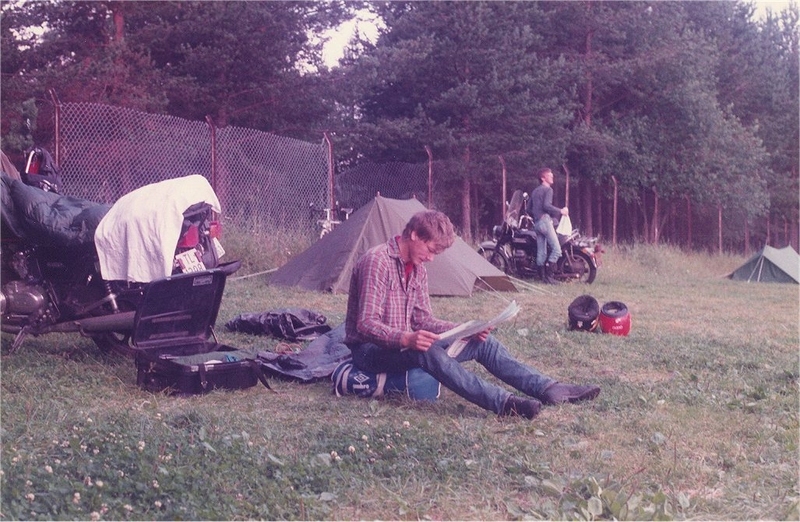 Another picture after it was "restored"
On a journey to Southern Europe on the autobahn in Germany with my wife an a lot of luggage I couldn't get more than 230-240 Km/h (downwards) on the FJ1100. I was a little disappointed of the power. Compared to all my former bikes it's a hell of a machine. 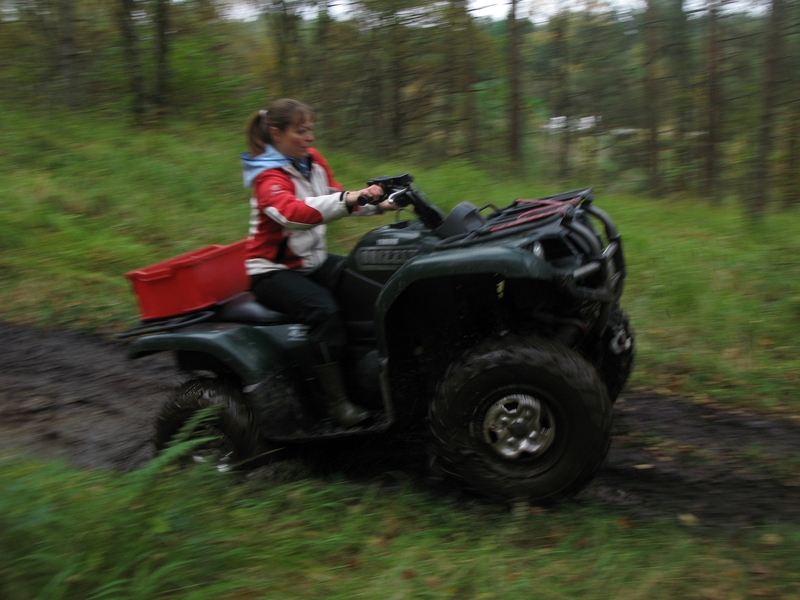 You can open the throttle at any gear and it pulls strongly away. 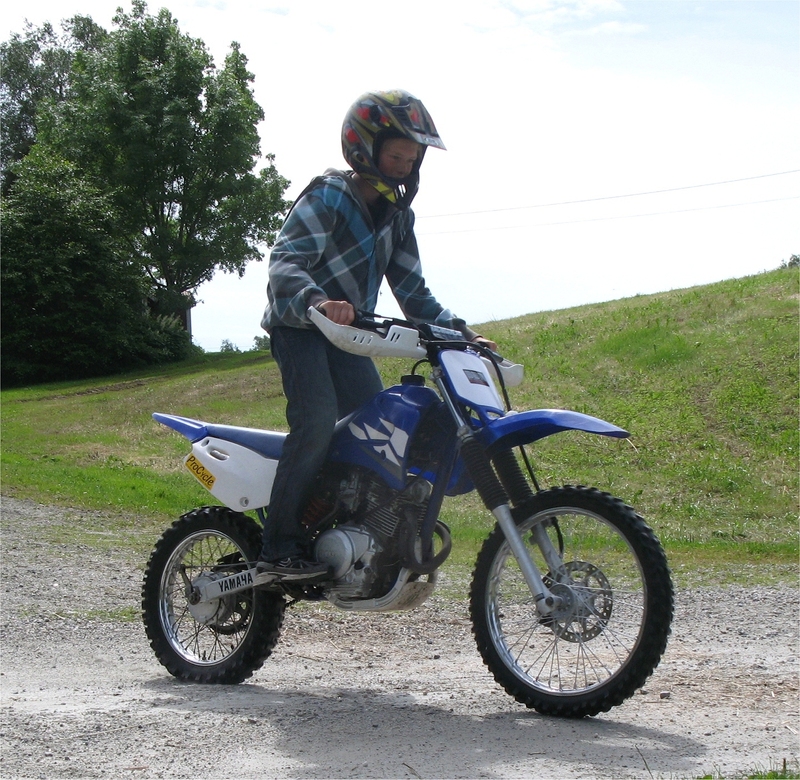 In first it will lift the front wheel some inches but you can accelerate like you want. It handles well (the CBR1100XX is better), it's fine two up wit hard luggage and everything. 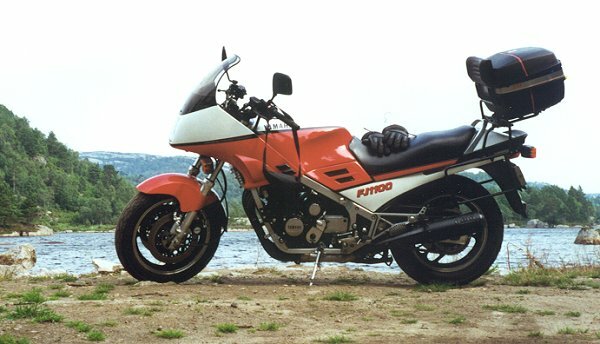 When driven fine it uses less petrol than my former GPZ900R. It had only 10000km on the clocks when I brought it in 1996, now (October 2001) it's almost 50000km and still going strong. New Ohlin's rear shock . Race Teck front fork valves. I thing I going to have this machine till Kawazaki comes with something as fast and at the same time comfortable two up. 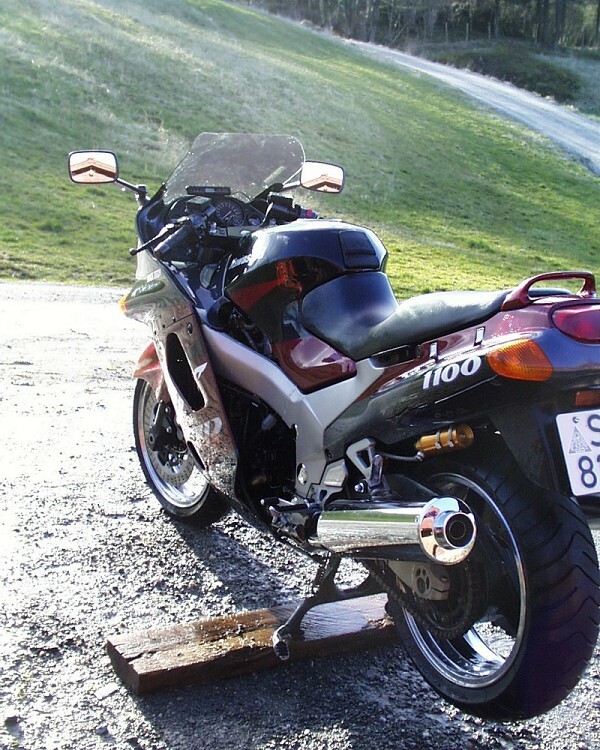 The ZZR1100 from the rear, usually it has a Givi wing rack mounted. Here on a trip with my wife in Norway. Well from the rear again. And from the right side. 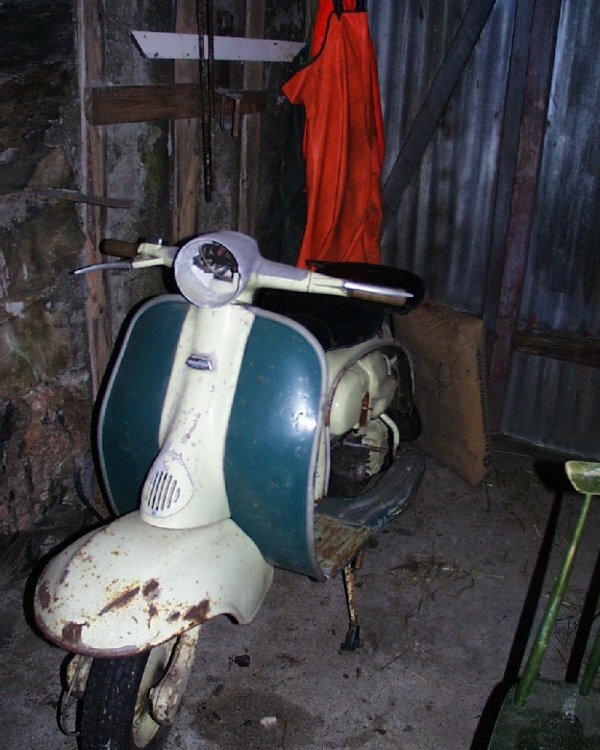 And at last a bike for my wife, a TY250 from the mid 1980 I think. Pulls like a tractor and goes everywhere. 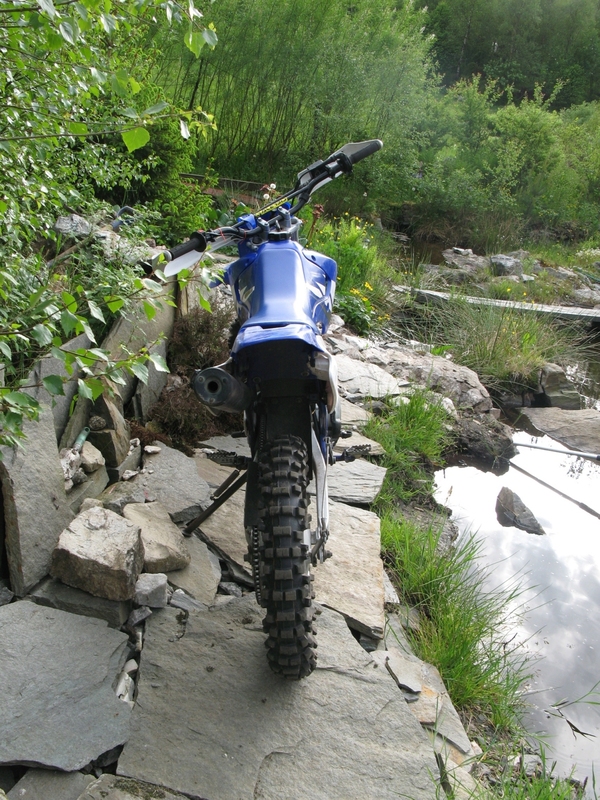 Quite hard to start and a bit heavy in the forest but fun to ride. 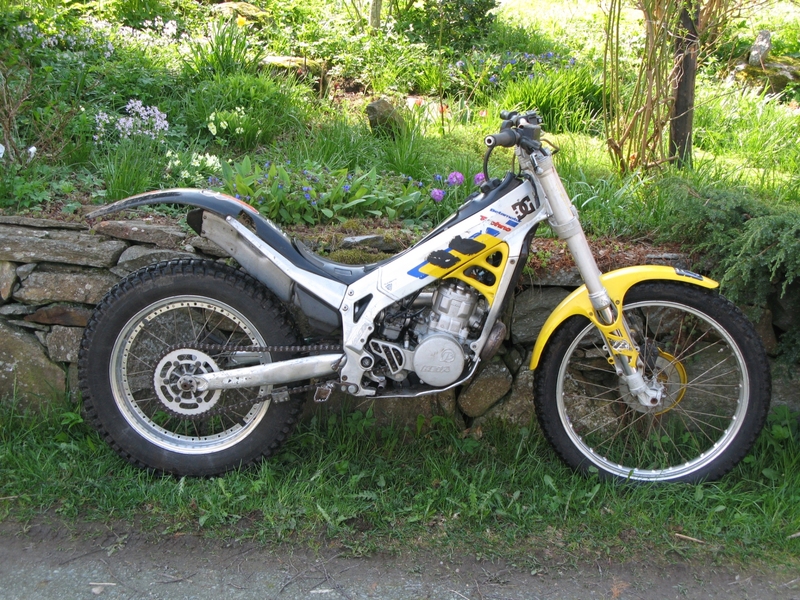 Below some more bikes: A TTR 125 LW, around 1982 model. 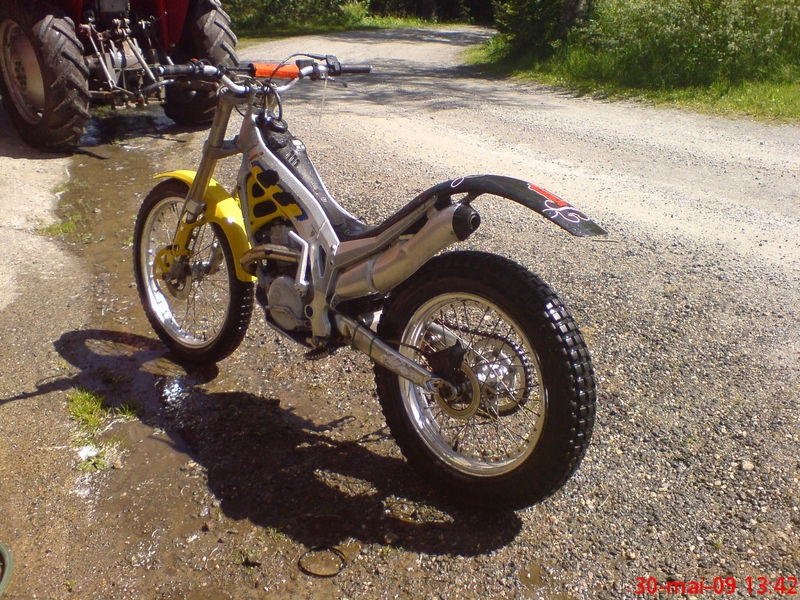 Slightly modified with BBR suspension and Frame Cradle. 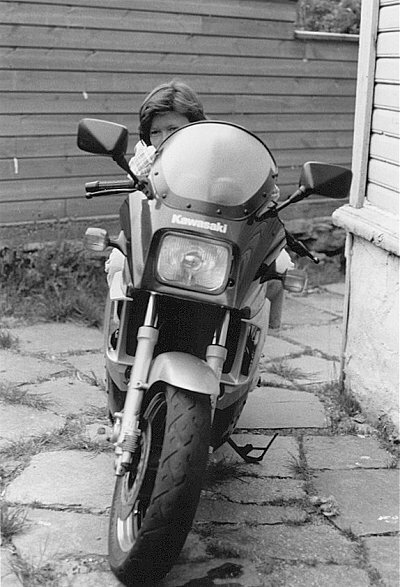 This is a fun bike for kids at every age :) A 1994 Beta Techno 250. 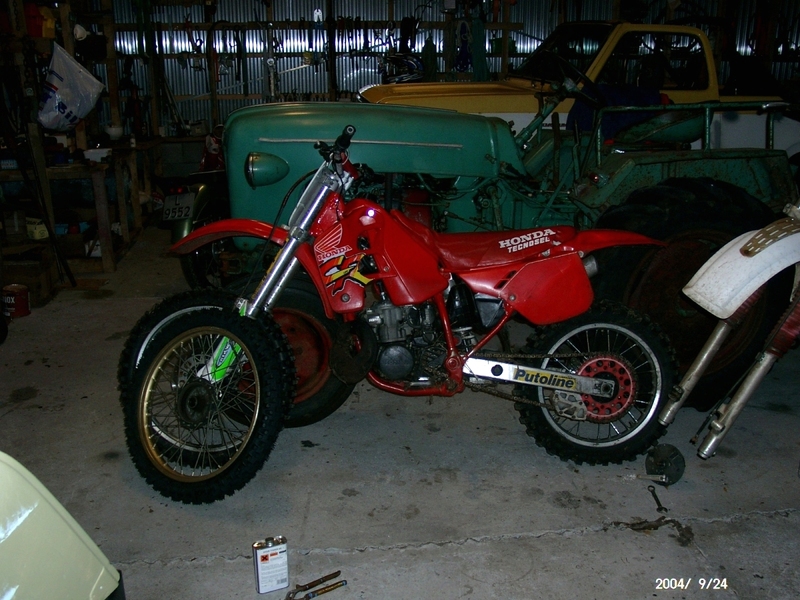 This is a much better bike then the older TY 250. Really strong engine. And last, not a bike but near. 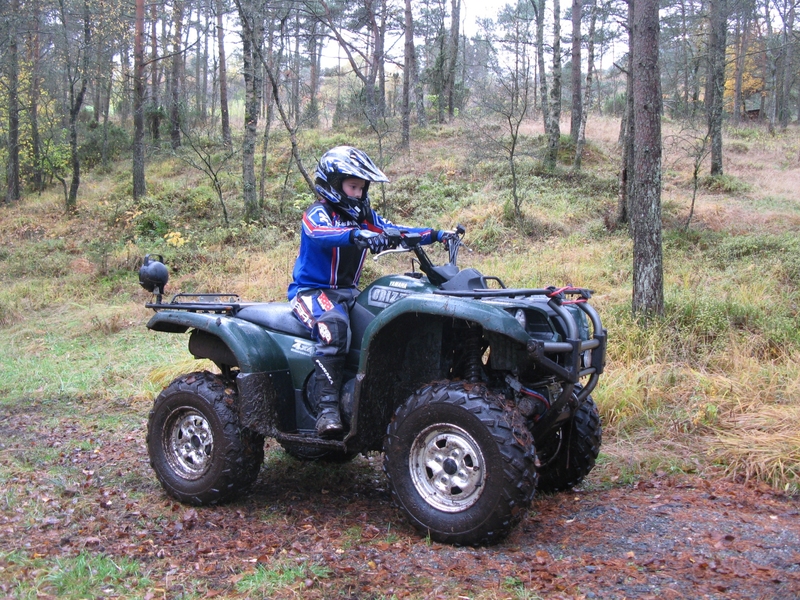 A Grizzly 660. This is probably the best vehicles I have ever brought. I use it for work and for fun. And most people love to drive it. 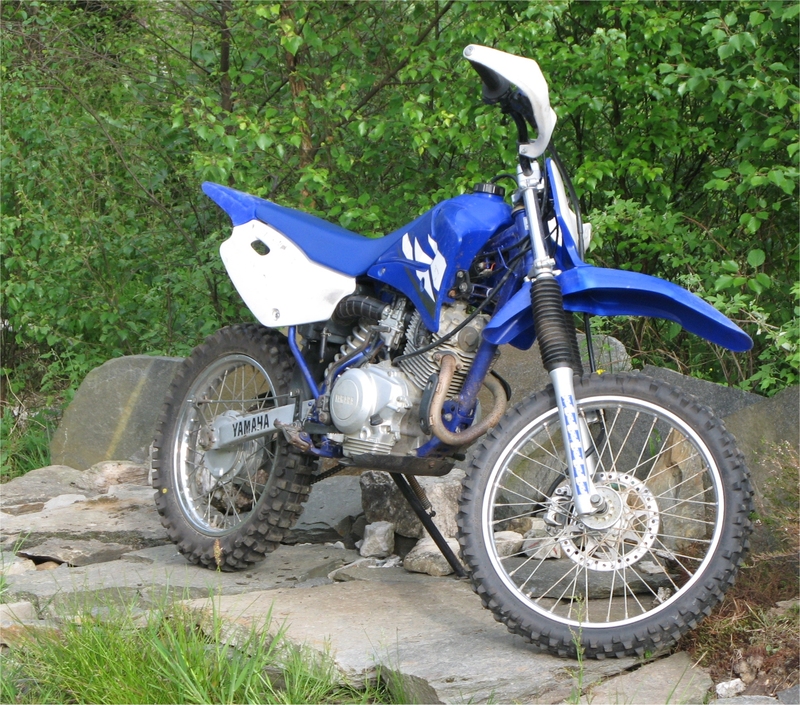 The YZ!! 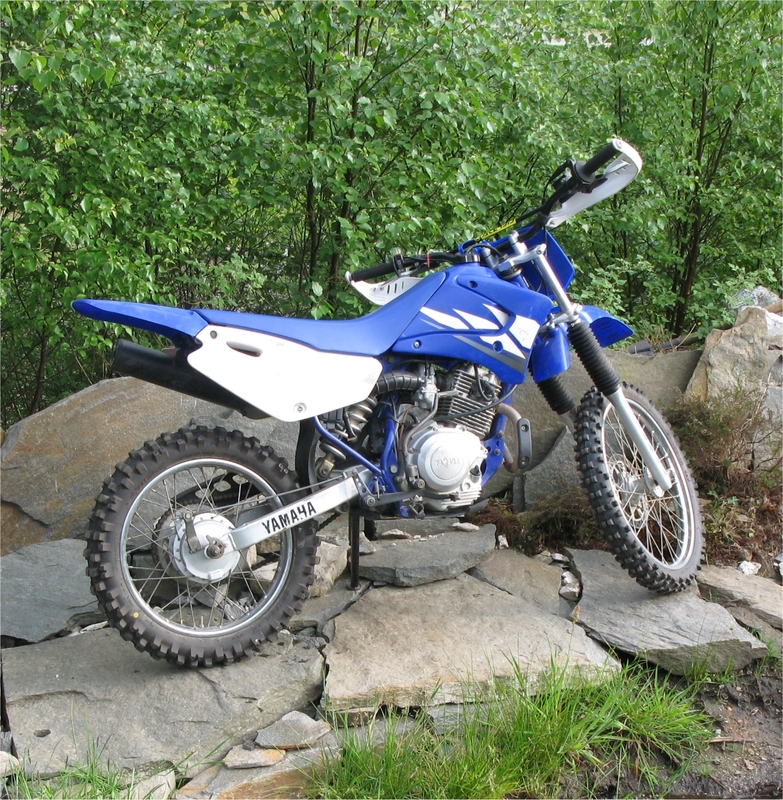 The YZ again, my fun machine. I have always (well for a while) wanted and old Brit. 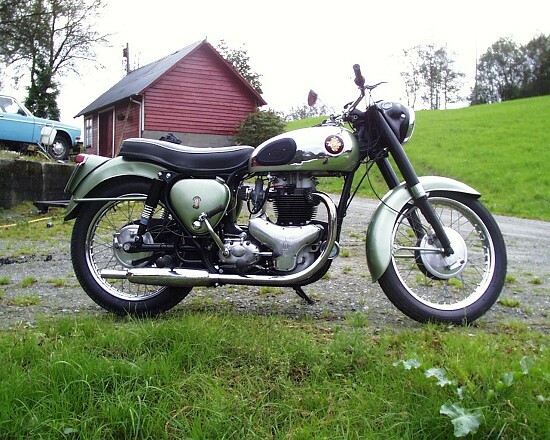 One fine day this old BSA arrived. It's an A10 Golden Flash from 1959. The color is not original, but close. Everything works, and I use it when I want to relax on the roads. 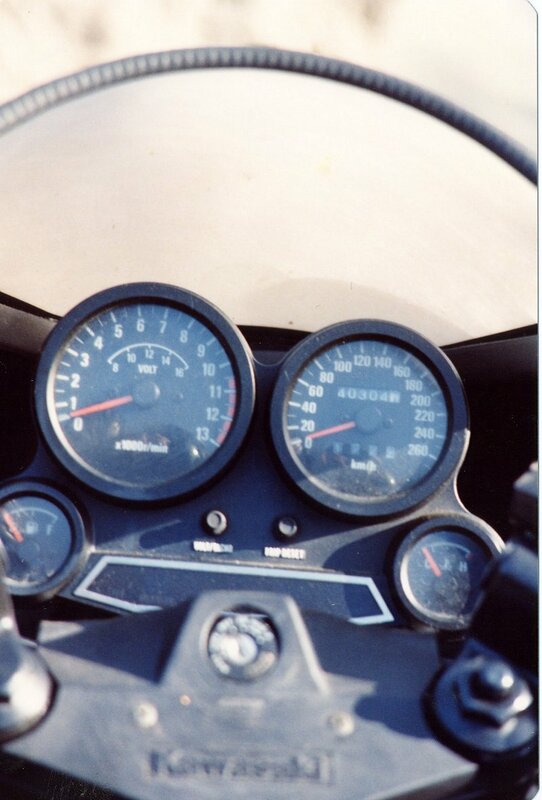 I ones reached 150Km/h on it but it's finest speed is around 80-90Km/h. Here it is, a cool machine. And from the left side. 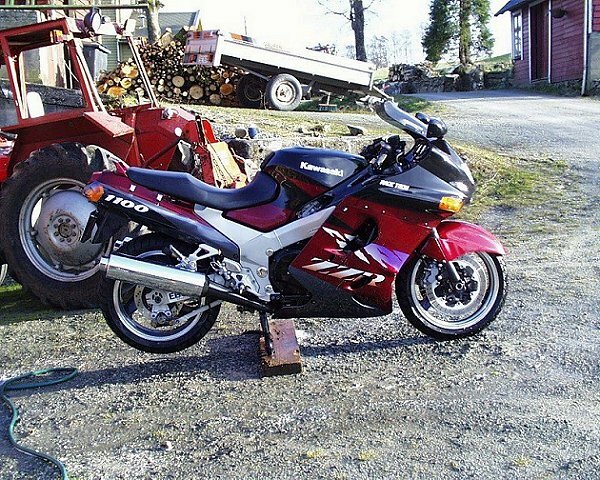 GSX1100, Sorry no Picture available, I am working on the bike. I am working (when I got some time left) on it to make a sort of street fighter ore something. But it's a lot of work. I am going to put it on it's own page when I am ready. 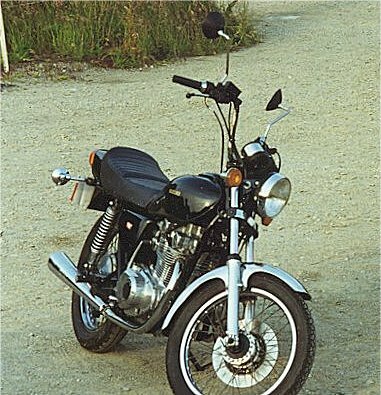 Suzuki GSX1100ES 1983 1999- 1098ccm, 4cyl/4-stroke, 111 hp 225 Km/h ?